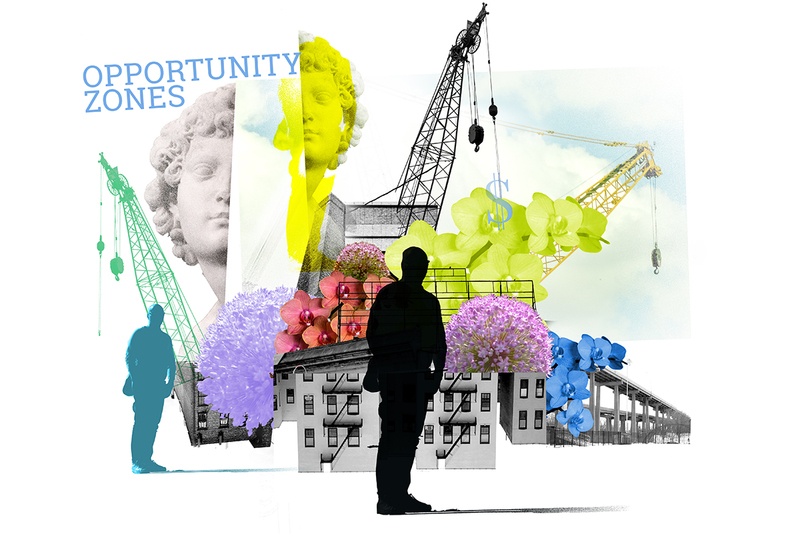 The term “Opportunity Zone Fund” has been part of the real estate industry parlance for over a year and, for much of that time, the industry had more questions than answers. With the IRS providing additional guidance in the form of proposed regulations in late 2018, now is the time for real estate developers and investors to utilize this generational program to unlock billions of dollars of equity capital for use in real estate development projects. In fact, although investments can be made after 2019 and still receive a number of the tax benefits available under the program, investments need to be made by December 31, 2019 to take full advantage of the tax savings as described below. This likely means a flurry of activity in the market through the rest of the year. Opportunity Zones are low income areas designated by each state and certified by the Treasury Department as an Opportunity Zone. A taxpayer can invest realized gain from any capital asset into a project located in an Opportunity Zone and defer tax on such gain until the earlier of the sale of the investment or December 31, 2026. In addition, a taxpayer who holds the investment for a period of five years will reduce the amount of tax due on the realized gain by 10% through a step-up in basis and an additional 5% if the investment is held for seven years. For example, a taxpayer investing $100 of realized gain into an Opportunity Zone investment on December 31, 2019 will pay tax on $85 (rather than $100) of realized gain if the investment is held until December 31, 2026. Finally, if an investment in an Opportunity Zone is held for 10 years, the taxpayer pays no tax on any gain from the sale of the investment in the Opportunity Zone. In order to make an investment in an Opportunity Zone, a taxpayer must invest in an Opportunity Zone Fund. An Opportunity Zone Fund is a corporation or a partnership formed for the purpose of investing in qualified Opportunity Zone property and which holds 90% of its assets in qualified Opportunity Zone property. Qualified Opportunity Zone property can be tangible property located in an Opportunity Zone (e.g., real estate) or a partnership interest or stock held by an Opportunity Zone Fund in a partnership or corporation which is a qualified Opportunity Zone business (e.g., a partnership or corporation which owns real estate in an Opportunity Zone). This all means that an Opportunity Zone Fund may own real estate directly or through a subsidiary. For a variety of reasons, like the ability to take advantage of recent regulations that permit an Opportunity Zone business (but not an Opportunity Zone Fund) to hold significant working capital reserves, real estate developers will likely structure their deals such that the Opportunity Zone Fund invests in a partnership entity which then owns the property. The conventional real estate investment fund owns multiple assets and, within certain parameters, the manager of the fund buys and sells properties throughout the life of the fund. One of the advantages of such a structure is the ability to diversify the holdings of the fund and to call capital from investors as necessary to acquire additional assets. There are a number of real estate developers who have formed Opportunity Zone Funds in the conventional form of a multi-asset fund. However, until the IRS provides further guidance, if any, single asset funds will likely be the more prevalent and recommended structure of Opportunity Zone Funds. One of the main tax benefits of an investment in an Opportunity Zone Fund is that a taxpayer will recognize no gain on the disposition of the taxpayer’s investment in the Opportunity Zone Fund if such investment is held for 10 years, however, the regulations do not offer the same benefits upon the disposition of an asset held by an Opportunity Zone Fund. If an Opportunity Zone Fund sells a particular property, a taxpayer will recognize a pro-rata portion of the gain attributable to such sale and will not be able to defer the gain unless the taxpayer rolls the gain into another Opportunity Zone Fund. Even if a multi-asset fund held all of its properties for the 10-year period, it would be difficult to sell the equity interests in the fund, given the fund would need to find a buyer that is interested in buying an entire portfolio rather than a specific property. This would likely lead to a limited universe of buyers and the need to discount the price of particular assets so that a buyer purchases the entire portfolio. On the other hand, a single asset Opportunity Zone Fund could structure its exit from a project by selling the equity interests in the fund to a buyer. Even if the IRS issues additional guidance to permit multi-asset funds to sell assets without triggering gain to its investors, single asset funds may continue to be the preferred approach for investors. Under the current statute, the taxpayer needs to invest the taxpayer’s capital gain in an Opportunity Zone Fund within 180 days of recognizing such gain. A typical multi-asset fund calls capital as needed to purchase properties over the life of the fund. Although such a structure is a more efficient use of capital by a fund, investors in an Opportunity Zone Fund may only take advantage of the tax benefits by investing capital gains and it is unlikely that investors will have a continuous flow of capital gains to invest in a multi-asset fund as capital calls are made. On the other hand, a single asset fund, by virtue of its limited holdings, will have fewer capital calls on investors. Furthermore, a single asset fund could raise all of the equity it needs to acquire and substantially improve the property at or around the time the asset is purchased while taking advantage of the rule permitting a lower tier entity owned by an Opportunity Zone Fund to hold working capital for a period of 30 months subject to a written plan as to how such amounts will be deployed. Another reason for a proliferation of single asset Opportunity Zone Funds is because of the wide range of projects for which this tax incentive program is applicable. Although certain past tax incentive programs, like New Markets Tax Credits, have been tailored to large real estate projects, an Opportunity Zone Fund can be used to finance projects of all sizes with minimal regulatory approvals required. Investors and developers can form an Opportunity Zone Fund by simply forming a limited liability company and self-certifying as an Opportunity Zone Fund with the IRS. On an initial glance, a developer raising relatively modest amounts of equity capital from “friends and family” may think that Opportunity Zone Funds are just for large scale developers engaging in significant development deals, but an Opportunity Zone Fund is nothing more than an LLC or other partnership entity which happens to invest in a project in an Opportunity Zone. The operating agreement or other organizational documents of a single asset Opportunity Zone Fund will look substantially similar to those of a single asset LLC which is not investing in an Opportunity Zone. Regardless of whether an investor is rolling recognized gain into a multi-asset or single asset Opportunity Zone Fund, the key to investing in an Opportunity Zone project is not unlike any other real estate investment. An investor needs to invest in the right deal with the right developer. There will be no shortage of investment opportunities in this space, particularly over the balance of 2019, but investors need to be cognizant of the track record of the developer and the potential downside of any deal. The project needs to be a good investment independent of the tax benefits. After all, you will not be very happy if you lose all of that tax deferred gain because of the allure of tax benefits.